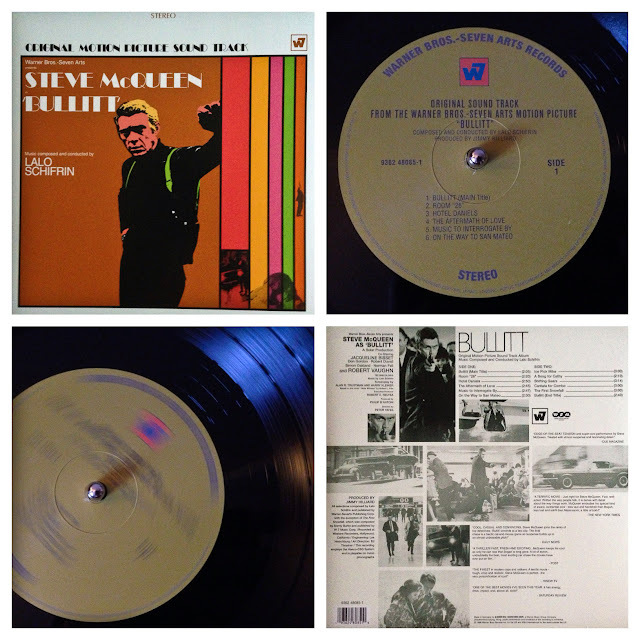 I received Lalo Schifrin's awesome jazz soundtrack to "Bullitt" on vinyl yesterday ... the final remnants of my Christmas money. 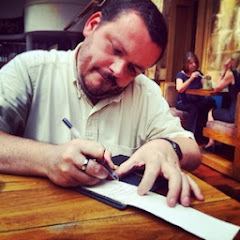 The tracks released on the album are alternate versions of those heard in the film and were re-recorded at the film producers' insistence for a more "pop" oriented soundtrack. Regardless, I love this soundtrack ... it has movement and variety ... its the kind of album with tracks that you can relax to at home or play out to a knowledgable audience. 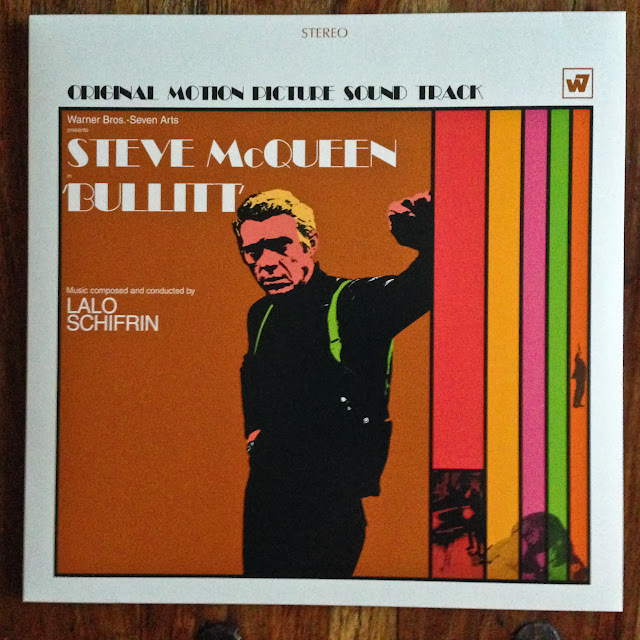 PS ... if you want to know more about Lalo Schifrin, can I recommend this show on RBMA Radio. 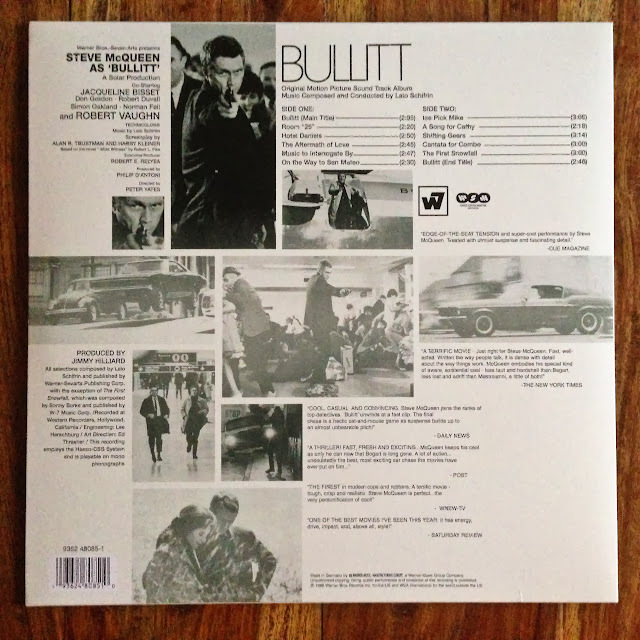 It's a heartfelt and informative piece on the composer that features a number of his classic soundtracks including "Bullitt".